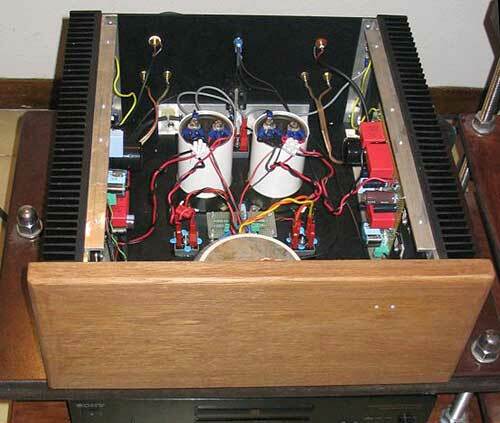 After a year from the realization of the Pearl phono stage, I have finished to build the amplifier that I was myself prefixed to do, the Zen V4. 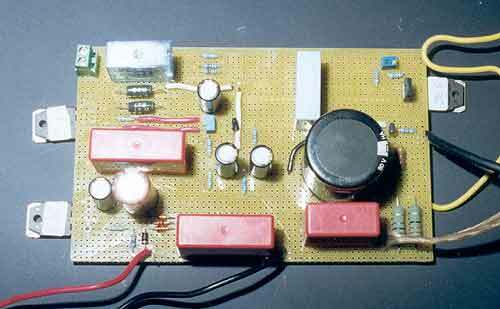 The followed outline is the original one, with the only one adding of a relè that allows to change the bias current from 1.3 to 2.5 Amps. putting in parallel one resistor of 0.68 ohm to that one of 0.47, and replacing R16 from 1k to 1k7. In such a way I can use the amplifier to low temperature and current consumption, (99% of the use) and leaving the the 2,5 Amps option for demo with the friends or for the use of speakers more difficult to drive (is not the case of mine,12" sealed box woofer with 2" dome midrange and 1" dome tweeter, 91 dB of efficiency whit a quiet load of 8 ohm. DIY of course). 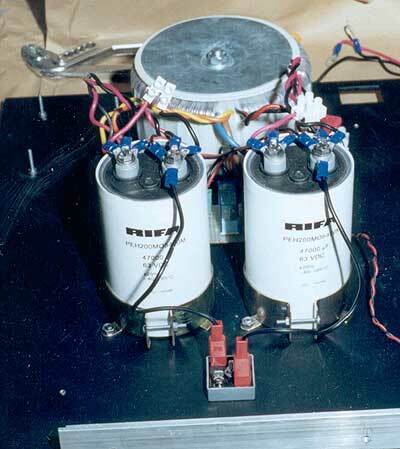 The main transformer is a toroidal one from 2*40V*8A, the filtering cap. is one 63V 47000uf Evox Rifa per channel. The mosfet are IRFP140A from Fairchild. The unregulated voltage of 52V is lowered to 48V with 3 zener matched to 16V each for the 2 channels and it's 44V after the regulator. 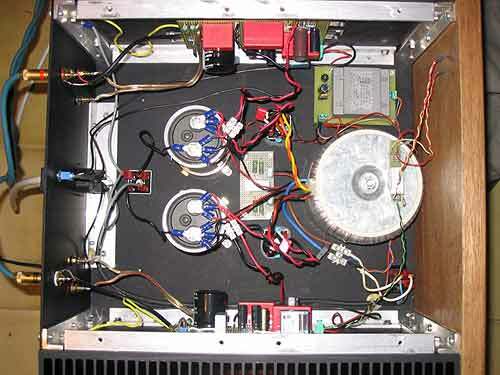 C9 is been changed in 1000uf, so to smoothly move the woofer at the switch on. The chassis is in aluminum from 4mm while the frontal panel is in wood of rovere from 20mm. The heatsinks measures 400*180*40mm 40 fins, and dissipate 150W each with the temperature that doesn't rise over 55°C. An additional power supply is used for services (relè and led). 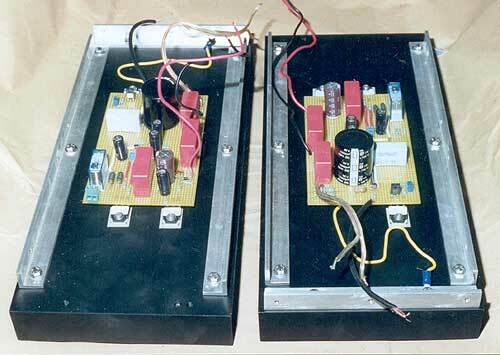 The power led is blue color, while the other one is green for low amp bias, and becomes red when high bias is used. A relè is used to quickly discharge the two caps at power off, via 2 3W 100 ohm resistor in series per channel. The sound is very nice. Very good soundstage (wide and deep) and detail. The grain is a lot fine. No problems with the control of my woofers and the dynamic is very good too. I have recommenced to listen to all my preferred CDs and LPs, discovering to a detail and dept of the soundstage before disowned. Still thanks, a cordial salute from Italy. I enclose the photos of my realization. Michele.